Well Pheromosa isn't really a Legendary anyway, just hopped up on wormhole radiation. Still, don't screw with the Pokemon that kills it's own trainer by accident just trying to be affectionate. The IRL equivalent would be an essential oils saleswoman trying to get into a fistfight with someone's actual pet bear, don't do that. Eh, UBs are Legendaries in all but name, they're like Mythicals if they were a better established group. Bewear is more like if a mama bear had the strength of a god sealed into a mascot suit, mess with her children and you get a wrath worthy of a thousand suns. Seems like it's only Dragalia that's getting characters from the other game at the moment. It could be either big name Fire Emblem characters or just Heroes OCs appearing in Dragalia. I don't care for Dragalia, but this somewhat gives me hope of a potential Fate/Grand Order x Fire Emblem Heroes crossover in the future. On the other hand, I've seen quite a number of people on the Internet who aren't happy about that idea of Fire Emblem Heroes participating in some kind of crossover gacha so... if Fire Emblem Heroes gets Dragalia characters, I fear the reaction won't be pretty. I've seen rather even thoughts on the crossover. There are some people who would rather get more Fire Emblem characters rather than crossover characters and there are people who are rather excited at the thought of FEH getting crossover characters. Also, yeah, Grand Order X Fire Emblem would be cool and Fate is rather tame with allowing it's characters to appear in other Gacha games, like Shadowverse and Battle Cats. On the other hand, Dragalia Lost is done by Cygames who like doing collabs and we don't really know what Intelligent Systems thoughts of crossovers is. So I'm not putting any hopes up. No I had for the first one, but and were obviously Moydow . Considering its called dragalia lost, I'd be shock if all of the characters from heroes aren't dragons. "Well, I guess I'm about to get bossed around a good bit today. '>-> "
To be honest, I'm surprised they didn't do it sooner. FE Heroes is by far Nintendo's strongest mobile game and Dragalia Lost is doing rather well for a new IP (it's blown past the other mobile IPs and even paced with Heroes on occasion) and they probably want to keep it going as long as possible. DL getting some FE characters in would be a huge boon for it since it'd get FE fans curious about it and allow them to jump in and play as characters they have more investment in, while in turn DL players that got interested in the FE characters could jump over and try out FE: Heroes. As for the reaction, Dragalia Lost fans seem to be fine with it overall and are even curious what characters they'll add please add Leif, let one game appreciate him at least. As for FE fans, I do understand the concern over getting DL characters in while many other FE characters are still not playable period, but at least for the time being it sounds like a one way street so I think it's unwarranted for the time being. We'll see where it goes though, April is a big month for DL and it was a good month for Heroes last year, so the timing is perfect for some interesting things to happen. A reminder that a good number of FE characters have dragon blood regardless of whether they can transform or not. Including Camilla. Also, doesn't Dragalia Lost have humonoid dragons? Touche. I would laugh so hard if camilla got in. But with dragon transformations being big in lost, I think actual dragons makes sense more then those with the blood of them. Especially when Nowi and Tiki get pushed so hard. All this talk about FE and dragons is bringing my mind back to my headcanon about "Path 4" (I.E. Smash Bros Universe) Fates that I came up with all the way back when Corrin was first announced. Essentially the trailer is Corrin straight up bailing for recreation rather than dealing with either side's "them or us" ultimatum, and with the reason for Corrin leaving so utterly blatantly not being Corrin turning traitor the two groups of people that love them are quickly reduced to ineffectually whining about Corrin's choice. Post-trailer, both families end up basically sitting at the doorstep of wherever Corrin's moved to in the Smash-iverse begging them to come home and getting into pathetic arguments with the other family standing a few feet away. 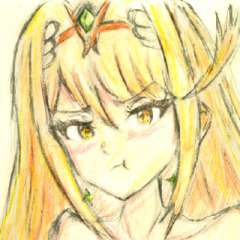 Which since the whole war was stupid in the first place causes the two sides to slide into a fairly tsundere reconciliation in a matter of days, at which point Azura decides to break it to Corrin that it's very important that they jump down a cliff and bring the strongest warriors they can manage. 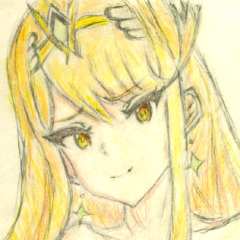 Which in turn because Smash has already established every insane idea is now logical, cue Corrin, their immediate family(s), and all the playable FE characters in Smash basically speedrunning the endgame of Revelation with even less overall casualties than the best possible outcome you can normally get out of that route. Corrin is now learning the ropes of life not being a shut-in and is happily looking for love, Takumi is actually getting some therapy and is in kind of a platonic bromance with Leo, and taking Smash Ultimate into account Ryoma is now teaching the way of the warrior to young students while the little girls run around outside the dojo planting flowers. If the Dragonborn is added to Smash this story will also have a postscript of them being Corrin's chosen spouse, with the gender of either character being entirely irrelevant to that conclusion. Take your pick of all four combinations, they're necking. I know everyone talks about Captain Morgan for stats and LOLs, but imagine Dovahkana. Imagine the implications for a sec. That's just some rich stuff all around. So anyway that's how I fix the story of Fates. By completely derailing it into oblivion to the point that the whole thing becomes an inconsequential slice of life story with recreational violence as a side note. Ahoy. Even Legendaries cower from Bewear. Buzzwole was the only thing to match Bewear's power. The only Pokémon within the main cast that I think that could put up a fight against Bewear is Kukui's Incineroar. It typically dominates in battle. Magic items are a rarity to be sure, but aside from the several hundred year gap in which they simply disappeared entirely they are far from so rare as for one to never come across an owner or two in one's lifetime. There's a sort of strangeness to the way they interact with the world, just one kept put in one place will stay put for decades but a hoard of them kept in a vault by some wealthy individual will within hours mysteriously disappear, popping back into existence far away from each other in places easily discovered by those readily able to use their skills. It's not as though they have a will, they don't -want- to be used per se, it was simply the intent of those that originally created them that they be used rather than collected. They don't seem to deteriorate, they don't seem to be capable of being damaged; if it weren't for the seeming inability to gather them up they could make quite the handy bulletproof pile of junk. This seems to be owed to whatever process made them "magic," something not often revealed to the outside world but often whispered of by the rare privy individual with such terms as "scavenging the gap between stars" and "ichor of a dead god." A bit sketchy, but certainly more comforting than making a pact with a living being in order to gain magic. Each of these items seems to be a double-edged sword in themselves, an incredible boon in the right hands and a great danger in the wrong ones. A recipe book that adapts to the reader can be the treasure of a master chef's library or a housewife's trade secret, or it might instruct an assassin how to make a recipe with undetectable poison or take the form of an amped-up version of -that- cookbook. A perfume bottle full of a gradually replenishing love potion speaks for itself. Or a sword that only harms evil might take it's cue from the wielder's subjective idea of what evil is. Whatever the case, it is rarely if ever the item itself that is inherently good or evil, only the wielder. A kinda failed drawing overall, but the face came up ok, guess Im getting close to nail the Saitom style. You got one of his optimal natures. +DEF, -RES is one of his best ones. After thinking it for a while I decided to keep him. Null-Follow Up is not as cool as C-Disrupt anyway. Also I kinda want to make a full Corrin team as I have both Adrifts now. Jesus ****ing christ I am out of shape, thank you Beat Saber for the reminder. Quick PSA: Just because you're playing a song on easy does not give you carte blanche to dance your fat *** around the living room. Took me about fifteen minutes just to drag my *** back into my computer chair and type this. Imma be paying the doc them ****ing hundred dollar bills, Jaroslav Beck, you ******. That's what happens when you post while your body is desperately trying to get to sleep. I meant to say "No idea who added the first one". So huh, EU Article 13 as been approved. I don't know how should I feel right now, but I'm sure it isn't going to be good at all. Did not expect to find this game anywhere around here. Picked it up in a second hand shop for €10, complete with instruction book and an unused Club Nintendo points code. I think the last owner didn't realise that this game goes for like €40 on eBay because of how rare it is. I don't actually own any of the DS games (because this is the only one that ever got released here) so this is pretty neat. Finally I get to see exactly what they changed in the remake. Spoiler: Oh lawd Red's still talking bout VR and now he's talking ******* Minecraft, bless this man for making it easy to scroll past this ****. In other VR endeavors, I recently (~2 weeks prior) fired up a 1.13 Vivecraft server. I haven't actually visited it in VR, because it's a ***** to build anything with roomscale and smooth locomotion is not my friend. But I finally have a not-burnt-down house to remind myself I haven't fully lost my touch. Work in progress. Ain't furnished, for a start, and I'd like to play around with the roof a bit more. And it's really more of a warmup for future plans. But honestly, I'm just impressed I still got this in me. Money and FUD talked louder than disgruntled common folk and people who warned against sweeping application of draconian laws. Lemme just get my reaction in while it's still legal. I honestly don't know, but what I know is, the next weeks-months are going to get even crazier than usual. I mean, I don't know the finer details of article 13, so I'm not sure if us Swiss will get affected much by it or not. Highkey still waiting for Spinning Zephiel to be added to the emote list. I readed that as "Highkey still waiting for Spinning Zangief to be added to the emote list." I was very confused for a moment. Not that I be against that as a emote. Can't believe UK Namco had to answer a question people have been having for months on a US Namco post. A bit weird it won't be up for pre purchase digitally when the Japanese version is. the pike scene was in the newest episode. AMC had a problem and dvrs didn’t record the last 25 minutes of the episode. So I missed it. After hearing this I went and watched them. It was pretty devastating but really good. yeah I knew it was gonna happen, I don’t even watch the show anymore but I cried lol. I didn’t like that they killed off 2 of my favourite characters from when I did watch. I really expected Clem to die on this season.